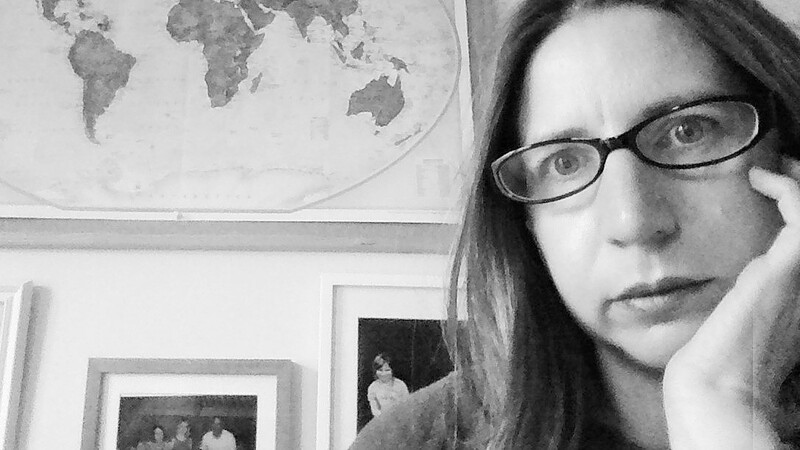 Writer, mother, expat (to be). Repat. Born in Cuba to British diplomat parents, I started travelling as a baby and haven’t stopped. I’ve lived in eleven countries on five continents, and visited nearly 70. Along the way, I’ve picked up a husband (K) and produced two daughters (E and M). I’ve worked as a journalist, diplomat, writer, press officer, antenatal teacher, customer service advisor, PA, coffee shop waitress, school cook (although that was only for one day). I now work from home, managing a journal (the International Journal of Birth and Parent Education), writing this blog and marketing the Expat Partner’s Survival Guide – as well as looking after the kiddies. We’re currently living in South Africa. I love Hotel Chocolat. I hate anyone who eats my Hotel Chocolat. I am not being paid by Hotel Chocolat to write this. You seem like one pretty well rounded (and travelled) lady! Great to meet someone who’s embraced the world (although I suppose, as a youngster, you didn’t have much choice!) Looking forward to reading more of your stories here. Thank you! You’re right, as a youngster it was sort of forced upon me. .but I wouldn’t have wanted it any other way! Thank you – I’m quite curious to know what the next bit will be like too 😉 Your blog also looks great – look forward to following! Hi Clara, thanks for following my blog. I am hoping on becoming a trailing spouse this year and a diplomat myself in the not so long future, but at the moment we are playing the waiting game… Good luck in S. Africa! Hi and nice to meet you! Thank you for the follow. I hope you find the site interesting, please keep commenting as the more voices that are heard the more everyone will get out of it. I look forward to reading about your own adventures! Looking forward to your blog..! Thank you! I’ll hopefully get time to do this this week. ..
Clara, what an adventure you and your family are about to embark on. We just returned from a five country southern Africa jaunt and were in awe of the natural beauty. Your visit to your new home city while the Jacaranda trees were in bloom was well timed – we just missed it. Highlights for us included seeing Victoria Falls, walking with the lions at Antelope Park, and safaris at both Kruger and Chobe NP. Also Cape Town area was interesting. Your kids might really enjoy seeing the penguins at Boulder’s Beach. And for the adults, a wine tasting tour at Stellenbosch. Thank you! The penguins are definitely on our list. As is a wine tour 😉 I’ve really enjoyed following your tour on your blog. Look forward to your photographs of your new journey. Thank you! I’m now following you too. Most excellent website and how fortunate you and your family are to be exploring our planet and it’s cultures. My best to you. Thanks for the follow! Just finished reading your “Memorable Journeys #5” post. Knowing how cranky, irritable and anxious I get when experiencing any kind of disruption when I fly alone I’m always impressed by those who can keep it together when you add small kids to the mix. Glad to hear you can laugh about it all now! Thank you! Always honoured by awards. I have three to catch up with now so can see an awards round up post coming up. 😀 Thanks for accepting it! Clara, Thank you hopping on our blog. I hope you enjoy my ramblings and photos as I share about the places where we travel, work and play. I loved reading this 🙂 I like your quirky funny style of writing! and wow…that is a LOT of countries to have been to! Hi Clara! Thanks for following my new blog! I feel like I’m a bit late to the WordPress party, even though I’ve been a trailing spouse and expat for 8 years now (gulp). Tut tut. Really ought to have been a bit more verbose sooner. I’m looking forward to sitting down with some Hotel Chocolat and exploring your blog. Thanks and I look forward to your updates too! I’m pleased to make your acquaintance. I admire your roaming spirit! Hey, thanks for following my blog! I’m looking forward to reading yours and hearing about your new adventures. I love the idea for your book it is a very interesting perspective. I would love to be a guinea pig but don’t think I really fit your criteria (my husband and I both came out here to work and have been in Vietnam for almost 2 years already) but I can’t wait to read about other’s experiences. Thank you! I’m going to be introducing my road testers over the next couple of weeks so look out for that! Thanks for following my blog! I won’t eat your Hotel Chocolat as long as you don’t eat mine… I’m also slightly jealous of the number of places you’ve lived and visited. I’m doing my best to add to my list – on 33 countries so far and due to add another 7 this summer! Do you have a favourite? Funnily enough I must have been passing our local Hotel Chocolat shop at about the exact time as you were typing this message….I actually resisted going in, which is good for me 😉 Favourite – hmmmm, that’s difficult as country’s are good for different reasons – some for living, some for holidaying. I think probably New Zealand overall (but too far away), Venezeula for the variety it has to offer, Thailand as a perfect holiday destination, Belize ditto….but there are so many others I would put on my “must-do” list too – Jordan (for Petra – probably the most stunning place I have ever visited), Jerusalem for history, Italy for Venice and Siena….. Thanks for following The Immortal Jukebox. I hope you will find much to enjoy ( please feel free to add comments). I look forward to much reading here. Regards Thom. Just found your blog! I am also a trailing spouse living in Joburg. Where abouts are you? Hoping your experience of living here has been good so far. Look forward to reading your posts. Hi Namz – I am in Pretoria, and yes so far so good (apart from the weather this weekend just gone which means we didn’t get to do the hot air balloon ride I had booked for my husband’s birthday – grrrrrr). Are you a member ofo the Trailing Spouse Johannesburg FB group? Ah yes, the weather – this was supposed to be the last cold spell before the summer sets in! Sad to hear about the balloon ride. Hopefully you can go soon. It is very nice! I am not a part of the FB group you mention. Can you send me a link on miamusings2013@gmail.com, please? I have lived in 5 countries, including South Africa, but you certainly beat me with 11! Lovely to meet you and you have a very interesting blog. I have a son that is British born and educated, but now lives in Brisbane as an Australian citizen with an Australian wife. When I question him about maybe returning to the UK at sometime to live, it always comes back to the weather. I suppose I cannot blame him for preferring clear blue skies and warm temperatures . Keep up the interesting blog. Makes good reading!